Born in 1971 in Nagano, Japan. Junichi Kakizaki is a floral and visual artist, based in Nagano in Japan. He is active in a wide area of arts, from installations to performance art. He has worked with dancers in live performances including the famous Kazuo Ohno. 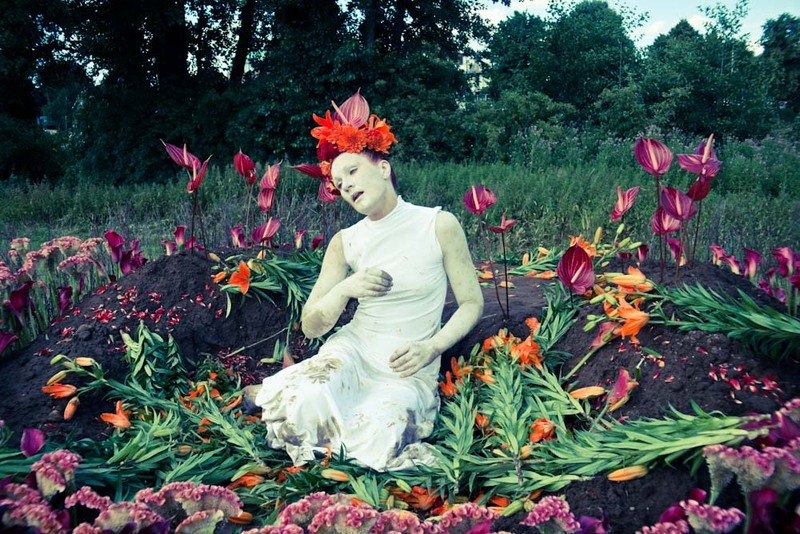 In 2007 he worked with SU-EN Butoh Company and created a grand gala event with the title New Life for the anniversary of Carolus Linnaeus, commissioned by Uppsala City. And in the other pieces Fragrant and Rapture. In his work he uses nature as a way to open the mind of the spectator. The concept of destruction is always present and he wants the spectator to look beyond the beauty.